ReCon® Retaining Wall Systems manufactured and supplied by Strescon Limited, is an industry leader for aesthetically and structurally superior retaining wall solutions. Their massive size along with unique tongue and groove design allows taller gravity walls and taller geogrid reinforced walls to be designed. Manufactured with durable wet cast concrete resistant to the elements, the walls can be quickly constructed due to the blocks size without requiring large or specialized equipment. Blocks come in multiple depths to optimize design efficiency and the natural stone finish is aesthetically pleasing on a scale suited for backyards to commercial developments to the largest of transportation / infrastructure projects. Double sided fence blocks, capstones, steps, curves and 90 degree corners can all be accomplished using the ReCon system to suit the needs of any site. Unique tongue-and-groove lock-and-placement design, combined with massive size and weight, permits wall heights up to 17 ft. 4 in. (5.28 m) without reinforcing geogrid. Significantly taller ReCon Walls can be built by incorporating geogrid, setback on teirs. Made of wet-cast, air-entrained concrete. 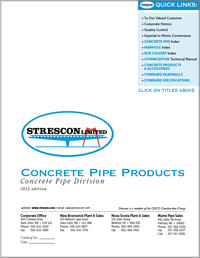 The durability required in environments prone to the challenges of freeze/thaw cycle, road salts or brackish water. Walls can be constructed quickly using equipment generally available to contractors (skid steers or backhoes), maximizing productivity and minimizing manual labour. No mortar, no pins. 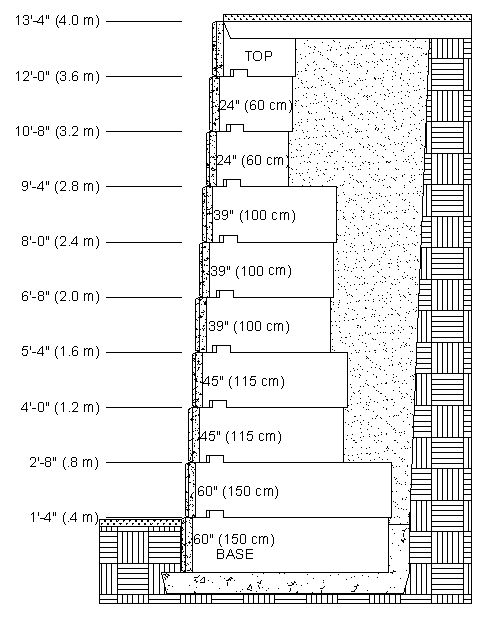 A ReCon Wall can be professionally engineered and designed (using shear and geogrid connection data unique to ReCon) for wall performance that is generally unavailable for natural stone walls. The natural stone finish has several different textures, which prevents repetition in the overall wall pattern. Block comes in mulitple depths, to optimize design efficiency by providing the mass when required or eliminating it when not required to save material and freight cost. Tapered block design allows both inside and outside 90-degree corners and curves. Caps or special top units that allow greenscape within four inches of the finished wall's face are avaiable for top-of-wall finishing options.